In compliance with food Labelling Regulations. Customers are advised to let our staff know if any food may cause allergic reaction prior to order. If you would like to know the list of ingredients used in a particular dish from the menu, our manager will be happy to assist you. Any quarter pounder burger or half pounder burger - chips - a can of soft drink. 2 x 9" pizzas - large portion of chips - 2 cans of soft drink. 2 x 9" calzones - small portion of chips - 2 cans of Coke. 9" pizza - mixed kebab in naan - 2 cans of soft drink. Any wrap - regular portion of chips & can of soft drink. 3 jalapeno cream cheese - 3 chicken strips - 3 mozzarella sticks. 2 regular donner meat with chips - onion rings - 2 cans of soft drink. 2 x 14" pizzas - large portion of chips - jalapeno cream cheese - 1.5L bottle of soft drink. Extra toppings & extra cheese are available, to add it simply click 'Select Extras' in your cart. Tuna, mushrooms & sweetcorn. Gluten. Milk. Donner, red onions & green pepper. Gluten. Milk. Chicken, mushrooms & sweetcorn. Gluten. Milk. Jalapenos, onions, turkey ham & pepperoni. Gluten. Milk. Mustard. Chicken, sweetcorn, onions & mushrooms. Gluten. Milk. Green peppers, red onion, mushrooms, sweetcorn, black olives & fresh tomatoes. Gluten. Milk. Cheese & tomato, topped with triple pepperoni. Gluten. Milk. Mustard. BBQ base, chicken, turkey ham, onions & fresh tomatoes. Gluten. Milk. Tuna, prawn & black olives. Gluten. Milk. Fish. Cheese & tomato with up to 4 toppings of your choice. 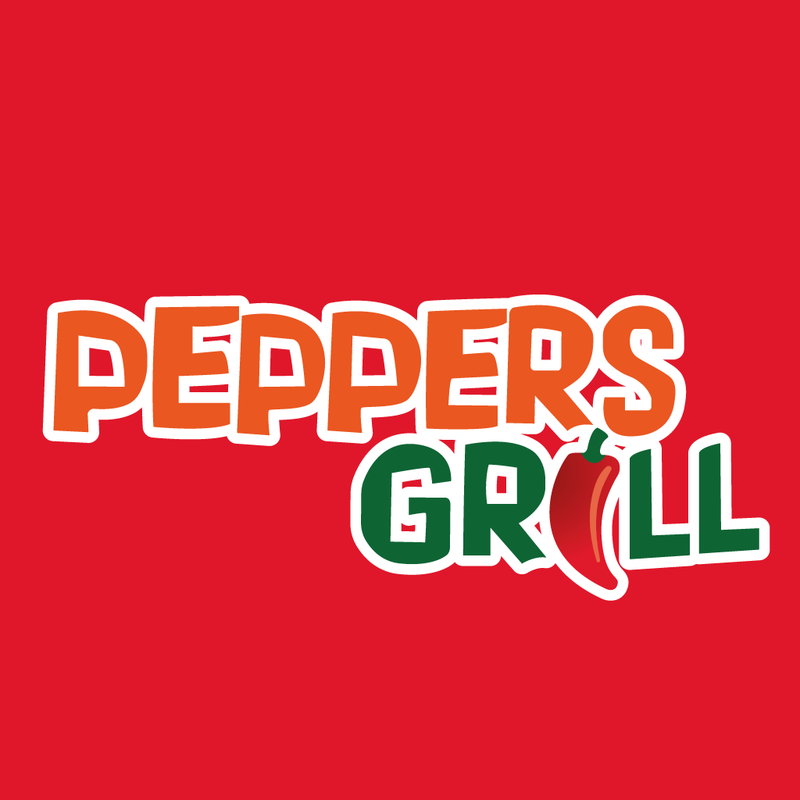 Red onion, green peppers, fresh tomatoes, spicy beef, fresh chilli & jalapenos. Gluten. Milk. Pepperoni, spicy beef, jalapeno, fresh chilli, green peppers & red onion. Gluten. Milk. Mustard. Pepperoni, spicy beef, red onions & olives. Gluten. Milk. Mustard. Chicken, pepperoni, spicy beef & donner. Gluten. Milk. Mustard. Spicy beef, turkey ham, chicken, salami & pepperoni. Gluten. Milk. Mustard. Mushrooms, green pepper, red onion, salami, pepperoni & turkey ham. Gluten. Milk. Mustard. Cheese, tomato, garlic butter, meatballs & mushrooms Gluten. Milk. Mustard. Sliced donner, mushrooms & red onions. Gluten. Milk. Pepperoni with sliced donner, mushrooms & red onion. Gluten. Milk. Mustard. Onions, pepperoni, hot chilli, sweetcorn, chopped tomatoes with sliced donner. Gluten. Milk. Mustard. Spicy donner & chicken, jalapenos, fried onions & peppers. Gluten. Milk. Spicy Donner with red onion chips & garlic mayonnaise. To add extra cheese simply click 'Select Extras' in your cart. Tomato paste, red onion & fresh chillies. Tomato paste, red onion, fresh chillies & cheese. Garlic bread topped with fresh donner. sauce. Gluten. Egg. Milk. Nuts. With fried onions, green peppers & spicy sauce. Gluten. Egg. Milk. Nuts. Sliced & chopped donner, fried onions, green peppers & spicy sauce. Gluten. Egg. Milk. Nuts. Shredded chicken, fried onions, green peppers & spicy sauce. Gluten. Egg. Milk. Nuts. Kobeda, donner & chicken tikka. Gluten. Egg. Milk. Nuts. Shish, donner & chicken tikka. Gluten. Egg. Milk. Nuts. Chicken fillet, served in pitta bread with cheese & a choice of salad & sauce. Gluten. Egg. Milk. Nuts. Chicken fillet, mushrooms, cheese served in pitta bread with a choice of salad & sauce. Gluten. Egg. Milk. Nuts. Gluten. Milk. Sesame seeds. Soya. Sulphur Dioxide. Cheeseburger & donner. Gluten. Milk. Sesame seeds. Soya. Sulphur dioxide. Celery. Gluten. Milk. Soya. Sesame seed. Chicken burger, 3 onion rings & cheese. Gluten. Milk. Sesame seeds. Peri peri fillet burger, cheese & hash brown. 3 x burgers & cheese. Gluten. Milk. Sesame seeds. Cheeseburger & chicken burger. Gluten. Milk. Sesame seeds. Fried onion, green peppers & spicy sauce. Gluten. Celery. Gluten. Egg. Milk. Soya. Mustard. 7" Pizza with 2 toppings & chips with Fruit Shoot. Chicken nuggets, popcorn chicken, chips & fruit shoot. Brilliant food, arrived really hot, and early. Highly recommend it. Always order from here because the foods lovely especially the donner meat. Highly recommend for the best kebabs ð??? staff are friendly and food is always on time. Brilliant food always hot spot on as usual! Excellent food and service! Best kebab/pizza takeaway in leyland! Great service as always and the food was fantastic. Highly recommended!! All round very pleased very good food,fresh and quick delivery.